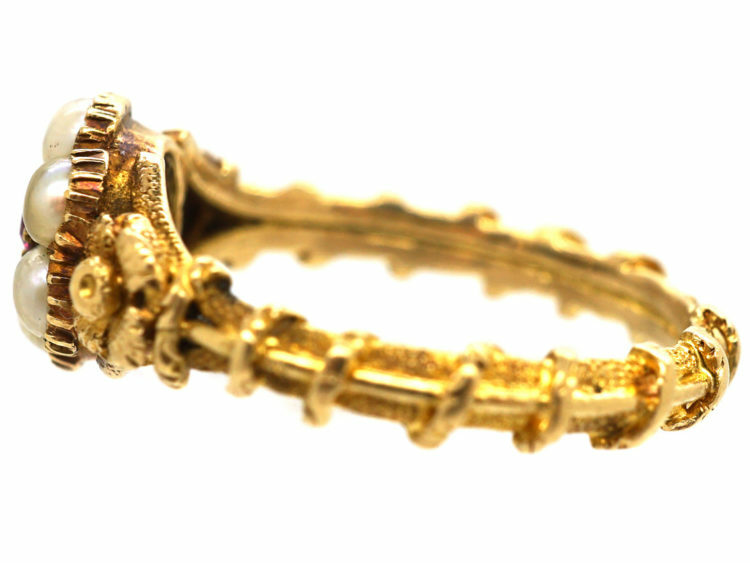 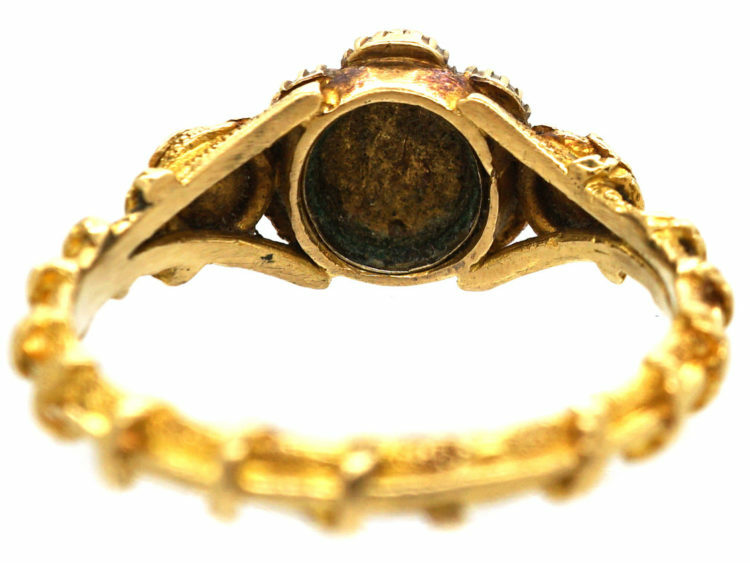 An unusual 15ct gold ring that was made in the 1820-1830 period. 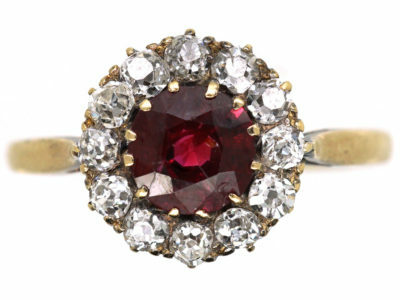 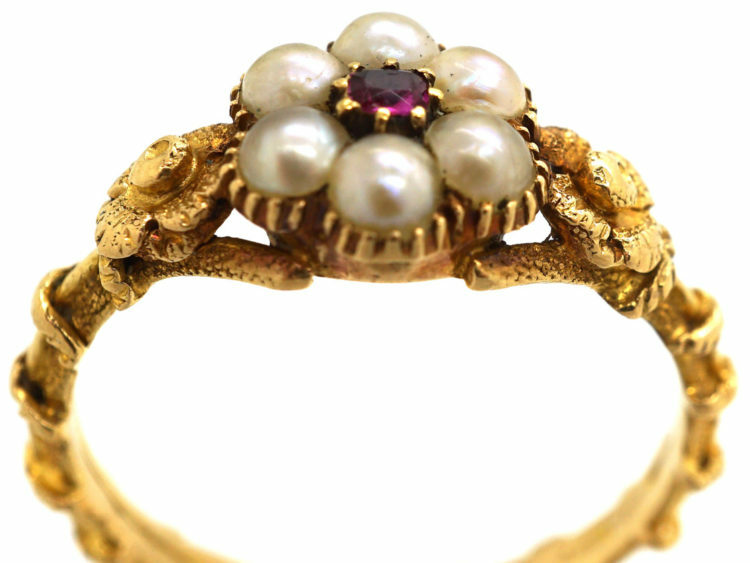 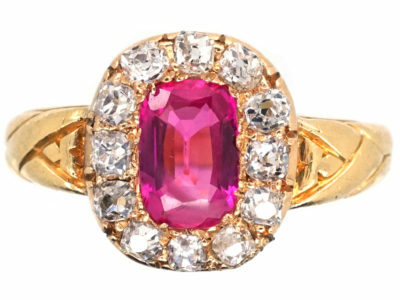 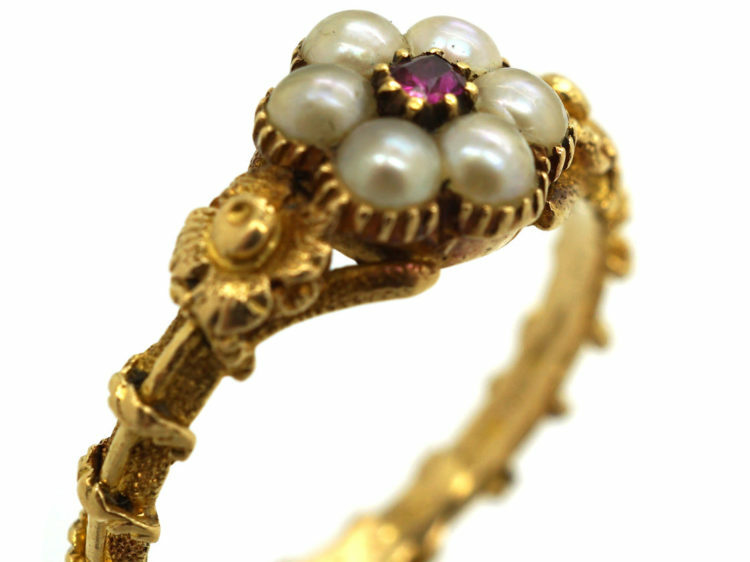 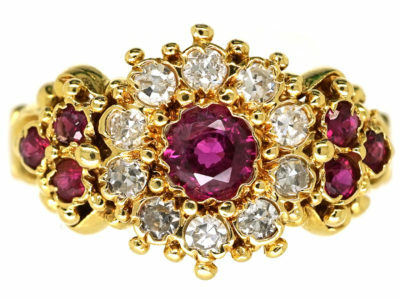 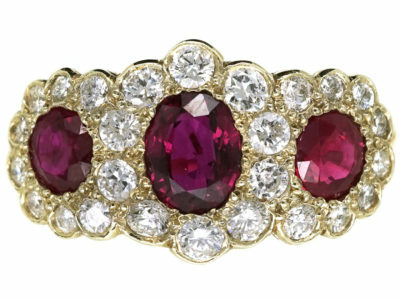 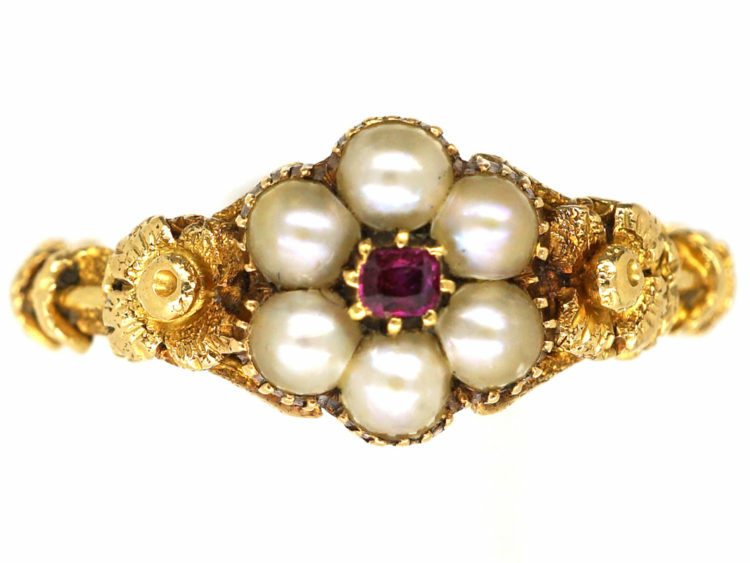 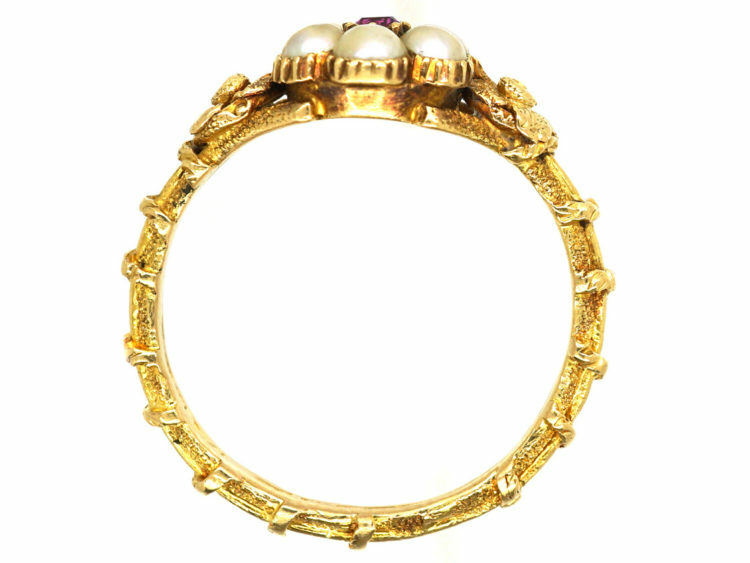 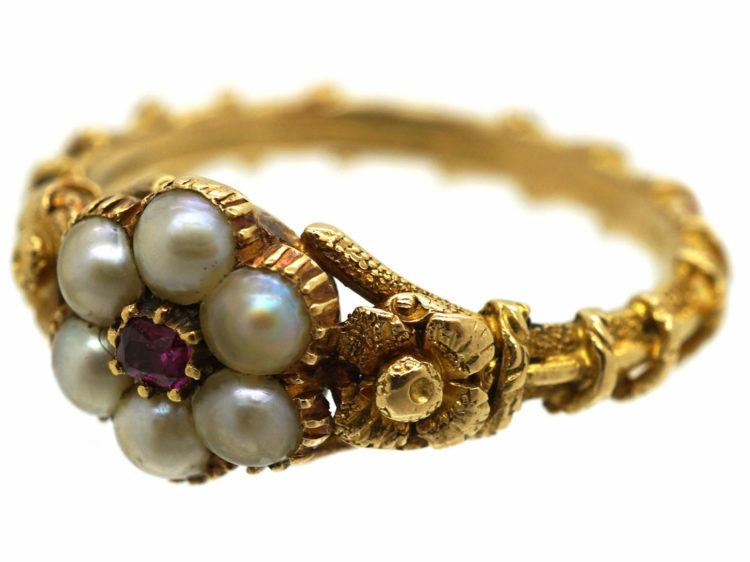 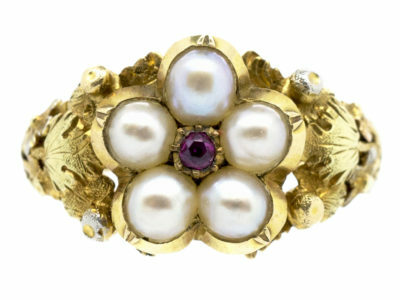 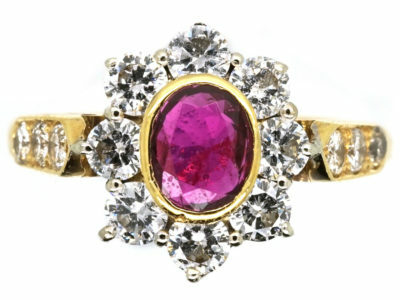 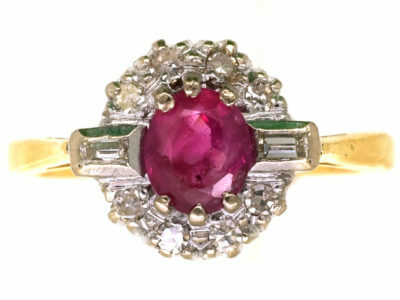 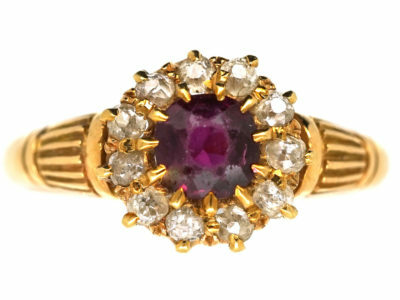 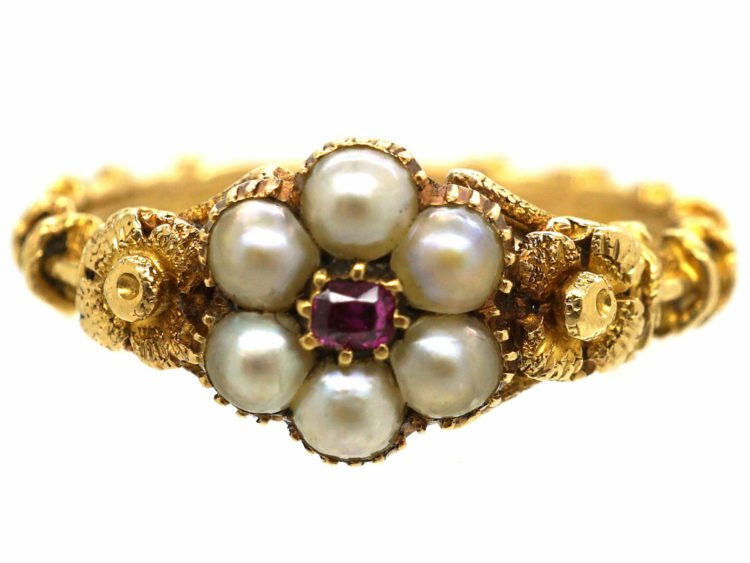 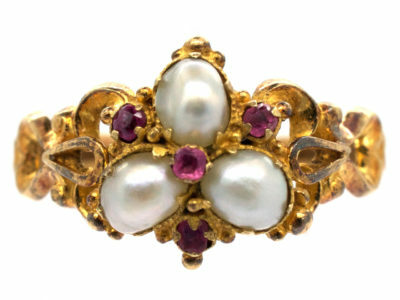 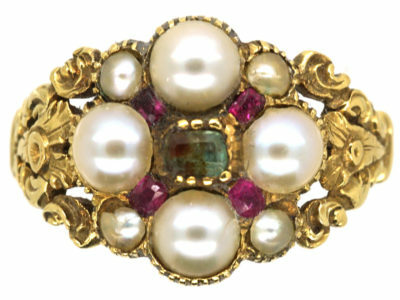 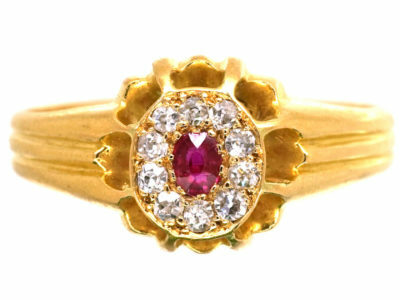 It has a natural split pearl cluster with a rectangular cut ruby and a gold flower on either side with the stems coiling around the shank. 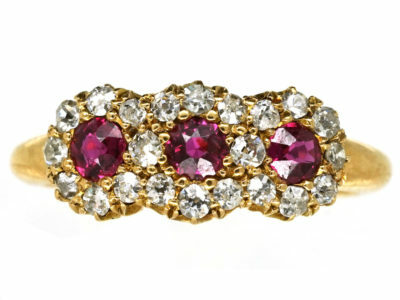 These rings were very popular then and are charming reminders of a bygone age.